IRS Accuracy Related Penalties: The Internal Revenue Code provides for imposition of an accuracy-related penalty of twenty percent (20%) on underpayment of tax. The taxpayer could be subjected to the accuracy-related penalty for negligently understating their income or over stating their expenses, or for any other substantial understatement of their tax liability pursuant to Internal Revenue Code Sec. 6662(a), (b)(1) and (b)(2). The taxpayer could also incur an accuracy-related penalty if the taxpayer intentionally disregards the tax laws. The Internal Revenue Code in Section 6662(d)(1)(A) defines ‘substantial understatement of income tax’ as an understatement of tax liability that exceeds the greater of ten percent (10%) of the tax required or $5,000. I.R.C. Sec. 6662(h) doubles the penalty to forty percent (40%) of the portion of the underpayment for “gross misstatements”. 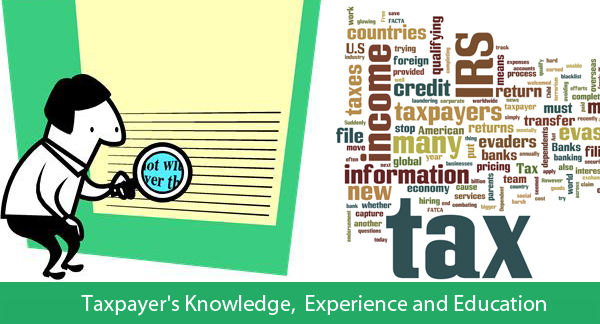 What efforts did the taxpayer take to determine taxpayer’s proper tax liability? What is the overall knowledge, experience and education of the taxpayer? What extent did the taxpayer rely on advice of a professional tax or financial advisor? It is well established tax law that “when an accountant or attorney advises a taxpayer on a matter of tax law, such as whether a liability exists, it is reasonable for a taxpayer to rely on that advice.” This is a direct quote from the U.S. Supreme Court in a IRS Penalty Relief case decided by the United States Supreme Court in 1985, United States v. Boyle, 469 U.S. 241, 251 (1985). But with that said, seeking IRS penalty relief grounded on reliance on professional tax advice is not that simple. Although most taxpayers are not competent to discern error in the substantive tax advice of an accountant or attorney; it still must be an area where professional advice is necessary. For example in the 1985 case cited above, the U.S. Supreme Court actually opined that meeting tax filing deadlines was not an area in which tax experts were necessary. In law it matters how things are argued; how they are labeled; and as with an oil painting, the frame matters. These cases turn on all facts and circumstances on a case-by-case basis. Different facts in reliance on professional advice cases can definitely impact the outcome of the case. Can IRS penalty relief be achieved? It depends on all the facts-and-circumstances. But the general rule is that taxpayer reliance on the advice of a tax professional can, but not necessarily demonstrates reasonable cause. In fact, reliance on the oral or written advice of a tax professional (alone) could be sufficient to establish grounds for IRS penalty relief. In Whitehouse Hotel Ltd Partnership v Commissioner, No. 13-60131 (5th Cir. 6-11-2014), the U.S. Court of Appeals for the 5th Circuit set-aside the IRS penalty in favor of the taxpayer where the taxpayer relied on professional tax advice when taking a substantive tax position. Before moving on to item number 2 above, it is worth noting that it is a violation of I.R.C. Sec. 6694(a) for a tax return preparer to prepare any return that contains an unreasonable position that the tax return preparer reasonably should have known was unreasonable. A negligence standard applies under Sec. 6694(a); negligence means any failure to make a reasonable attempt to comply with the Internal Revenue Code. United States v. Bailey, 789 F. Supp. 789, 812-813 (N.D. Tex. 1992). 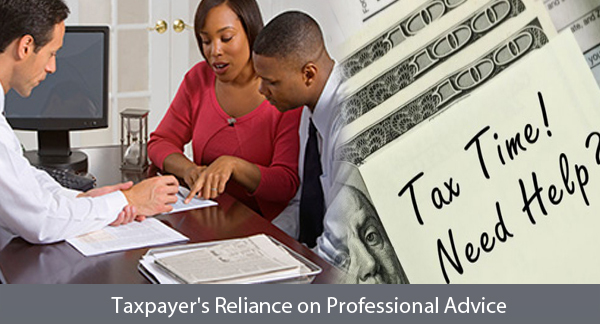 Taxpayer reliance must be reasonable; which means that the taxpayer reasonably believes that the professional is a competent tax adviser with sufficient expertise to justify reliance. The complexity of the tax issue in reliance cases is a relevant factor, but it is not a determining factor as to whether the taxpayer acted reasonably and in good faith. But, the qualifications of the tax professional matters in IRS penalty relief matters. The United States Supreme Court’s decision in United States v Boyle, 469 U.S. 241(1985) and its progeny establishes the principle that reliance on tax professionals must be reasonable. 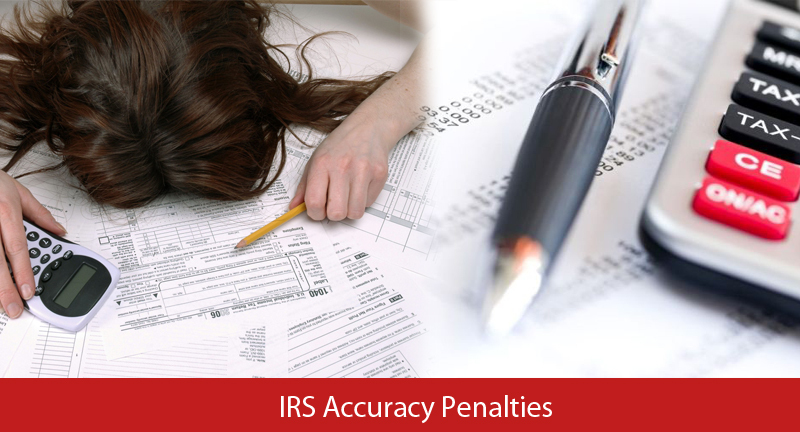 IRS penalty relief depends upon all facts and circumstances. The taxpayer’s immigrant status could be a determining factor due to the immigrants recent arrival to the United States; language accusation skills, and so-forth to extent these things contribute to the taxpayer’s lack of understanding and confusion with respect to U.S. tax laws. 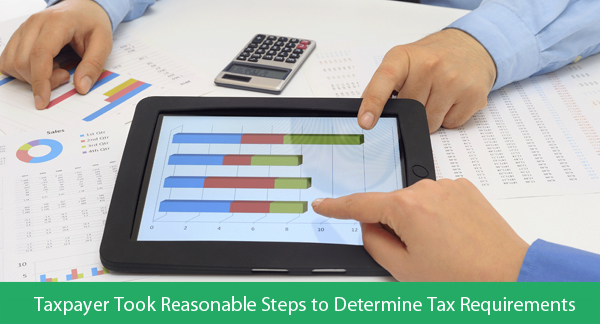 The steps that the taxpayer took to determine its proper tax liability and tax responsibilities is the most important factor in establishing reasonable cause and that the taxpayer acted in good faith. In order to establish reasonable cause, the taxpayer must set-forth in a written declaration under the penalties of perjury all the facts and circumstances that establishes reasonable cause. The taxpayer should raise its potential IRS penalty relief defenses in writing at the earliest possible point—preferably at the IRS auditor level. The determination of whether a taxpayer acted with reasonable cause and in good faith is a factual issue turning on factors 1, 2 and 3 above. Srivistava v. Comm’r, 220 F. 3d 353 (5th Cir. 2000). This tax blog is written by the Tax & Immigration Law Firm of Coleman Jackson, P.C. for educational purposes; it does not create an attorney-client relationship between this law firm and its reader. You should consult with legal counsel with respect to your particular set of circumstances. This entry was posted in IRS Problems on December 17, 2014 by Coleman Jackson.